Social media is a fantastic marketing tool, especially for getting noticed, but only if you are aware of your audience. Be too salesy and you risk becoming white noise. This is exactly why we see so many brands having a bit of fun on social, developing their personalities and doing things that will stick in people’s minds. It can be a bit scary when you first start to break away from the confines of a formal, safe and corporate approach to social media. In a world where everyone and everything seemingly has a social media account, though, there is growing pressure on brands to create more entertaining and engaging content. As an individual user, who would you rather talk to: someone who only delivers facts and tries to sell to you, or someone who is willing to have a chat and comes across as fun and friendly? Whether you’re a new company or you’ve already spent years establishing your brand, it is important to be clear on the tone you want to use on social media. 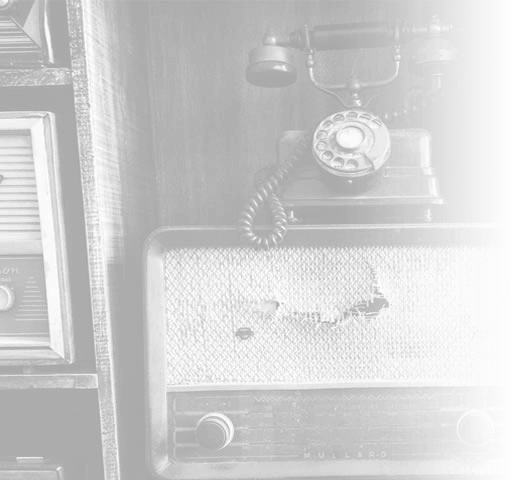 Your voice on social is your mouthpiece to the world. It doesn’t need to match your other channels, such as email marketing or even website content, completely, but consistency on each individual platform is key. Your audience can then learn what to expect and engage accordingly. 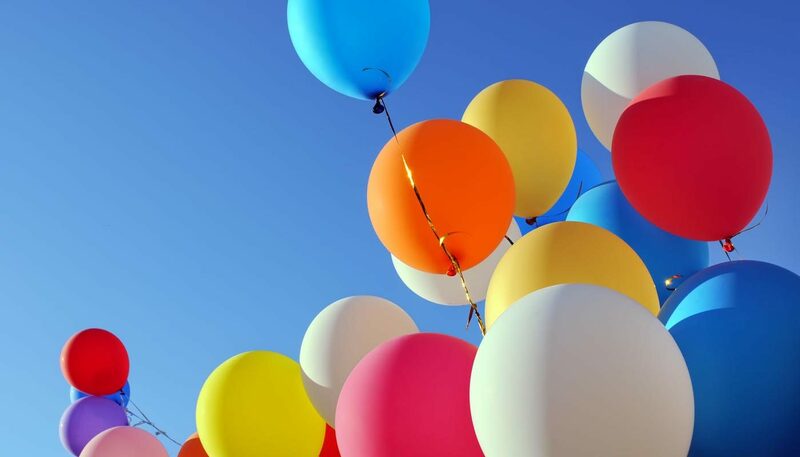 Having fun with your tone is one way to build really great engagement and get a following of people who enjoy, and look forward to, your updates. Innocent is a brand that does ‘fun’ consistently well. As a result, it has a nicely engaged audience and plenty of brand awareness, which includes knowledge of its humour and fun messaging. The company is chatty and adopts a light tone, often using jokes to engage its audience. There is a great balance on Innocent’s social channels of product-based content and general humorous commentary on various random topics. 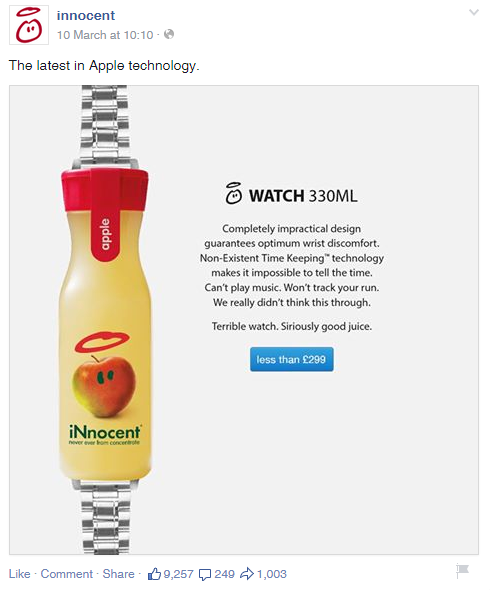 Innocent crafted a fun tone and personality before its online marketing joined in on the act, with its bottles sporting jokes and phrases such as “don’t look at my bottom”. All of this comes together to make the brand recognisable, fun and likeable. Another brand that has got its messaging on-point at the moment is MoneySuperMarket, which is running a cross-media campaign around the hashtag and theme of #EpicStrut. What’s making this campaign particularly successful is the element of fun it brings to the brand, and also the consistency of the messaging. 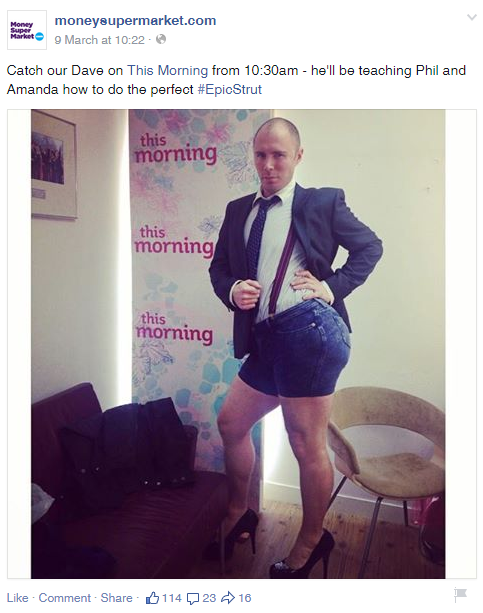 The TV ads, print advertising and other channels all feature the same Dave character and style. As part of the company’s current social campaign, the character is photographed in various locations, and followers are encouraged to guess where he is to win £100. The stunt fits in with MoneySuperMarket’s light-hearted brand image and has worked wonders for its brand awareness. Another great way to be heard in the social media expanse is to do something that breaks all of your existing rules on brand tone and messaging. This means a complete switch from everything your audience will be familiar with. Such a move has to be bold or it may go unnoticed. 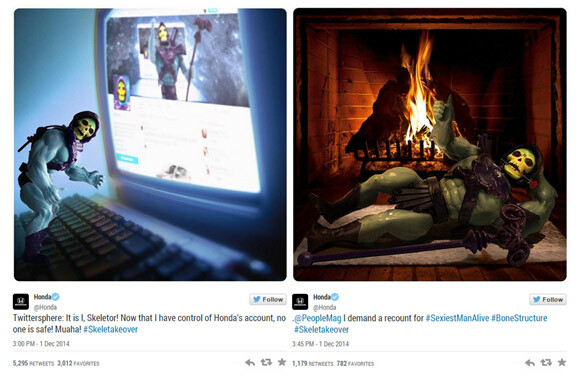 A fantastic recent example of this is Honda’s Skeletor take over, which involved the brand’s Twitter page being ‘hijacked’ by He-Man’s infamous arch-enemy, Skeletor, using the hashtag #Skeletakeover. The beauty of this campaign is that it was impossible to tell at the start whether this was an act of the brand or a hacker, as it was so far removed from the car-maker’s usual character. Once you peel back the shock factor and delve into the reasons behind the campaign, you can really start to see its genius. Honda wanted to increase its brand visibility among the 30-40-year-old demographic; what better way to speak to this age group than evoke childhood memories? Using the He-Man and Skeletor characters instantly sparked an emotional reaction from those who may have played with the toys or watched the cartoon back in the early 1980s. This group of people would now be in their 30s. Perfect. As a rule, it’s a bad idea to jump on every hashtag and topic that trends. Some brands make the mistake of thinking this constitutes an entire social media strategy. That’s not to say you shouldn’t get involved at all, though; sometimes it can be a fantastic way to build engagement and increase brand awareness. But you have to get it right. #TheDress, for example, caused one of the biggest social debates EVER, with everyone jumping on it, including celebrities and brands. Timing was crucial to capitalise on this one, as no one could predict how long the trend would run for. The lack of time meant there were some good, but also a lot of poor attempts to cash in on the discussion. Specsavers’ brand messaging fits really well with the topic, and it made the connection without over-labouring the point. This debate was all about taking a side, and Specsavers did so to great effect. Burger King got a fair bit of engagement from this, but the connection was a little tenuous. There are limits with trending topics – if it doesn’t seem natural, let it go. More recently, Snickers jumped on a trending news story. Instead of using a hashtag here, the confectionery brand relied on its organic reach, knowing its idea was so good that people would first laugh, and then share the post. This is a seamless integration of reported allegations surrounding Top Gear presenter Jeremy Clarkson and the brand’s existing advertising catchphrase, “You’re not you when you’re hungry”. People live out their lives, documenting achievements, milestones and the things they enjoy on their social media profiles. The way to be seen and remembered here is to make people feel something. Unless you’re a charity or have a noble message to promote rather than something to sell, a great way in is to use fun and humour. This is a really clever way of being remembered, giving your audience a reason to follow and to keep coming back for more – exactly what you want from a potential customer. Visibility is at the core of any marketing strategy, and social media is a great tool for achieving it. Having fun with your brand will help you get the most from your campaign and be seen by the greatest number of people through shares and discussions. We have been categorising social content posts to analyse their effectiveness. Here are the top tips on the kinds of posts that work best on social media. With the help of marketing experts learn how to make your brand messaging clear, how to get your brand seen and how to measure your success. Pinterest is getting bigger and is a great place for your business. Find out how to make the most of it and attract new customers from that social platform.